Dodonaea viscosa, also known as hopbush, is a quick growing evergreen shrub makes a good screen in smaller urban landscapes. It can be hedged for a more formal look, espaliered, or allowed to grow freely in its natural form. Mid-summer, tiny inconsequential flowers grow in clusters that give way to the more showy papery seed pods that resemble hops. The dense foliage provides a nesting place for birds. Grow hopbush in well draining soil where it can become fairly drought tolerant once established. 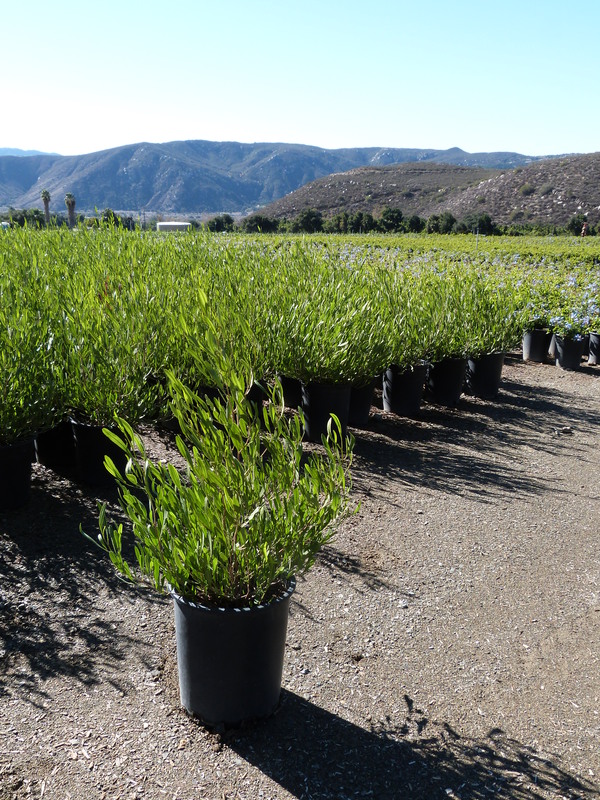 While mature plants won’t need a lot of supplemental water, they will look their best best when offered additional waterings during the hottest times of year. Because of it’s size and foliage density, it can be planted as either a focal point, informal sheared hedge or natural screen.